Girls who completed the Girl Scout Gold Award in 2014-2015. Samantha is a senior at Lakewood Ranch High School. She is the head captain of the marching band color guard and president of the Latin club. After high school, she is headed to University of Florida and she wants to be a TV news broadcaster. Samantha noticed that there weren’t as many girls participating in the school’s beauty pageant and prom. She found that many girls could not afford these dresses which inhibited them to participate in the memorable events. With the Junior Advisory Board, she has started the program which involves young women donating dresses and others borrowing these dresses free of charge for these events. This program will be sustained through the years. “We celebrate the Gold Award recipients for implementing community action projects that will serve those in need for years to come. 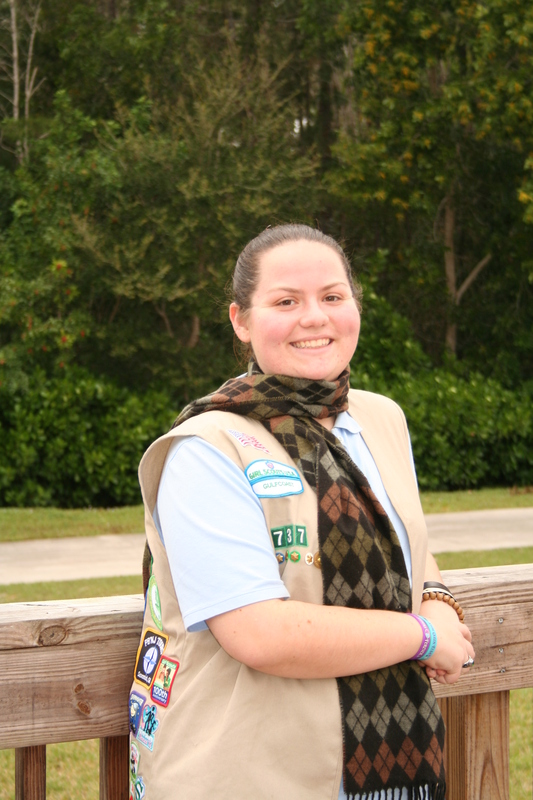 Samantha exemplifies the Girl Scout motto of building girls of courage, confidence and character who make the world a better place,” said Sue Stewart, Chief Executive Officer of Girl Scouts of Gulfcoast Florida, Inc. The Girl Scout Gold Award is so prestigious that some universities and colleges offer scholarships unique to Gold Award recipients, and girls who enlist in the U.S. Armed Forces may receive advanced rank in recognition of their achievements. 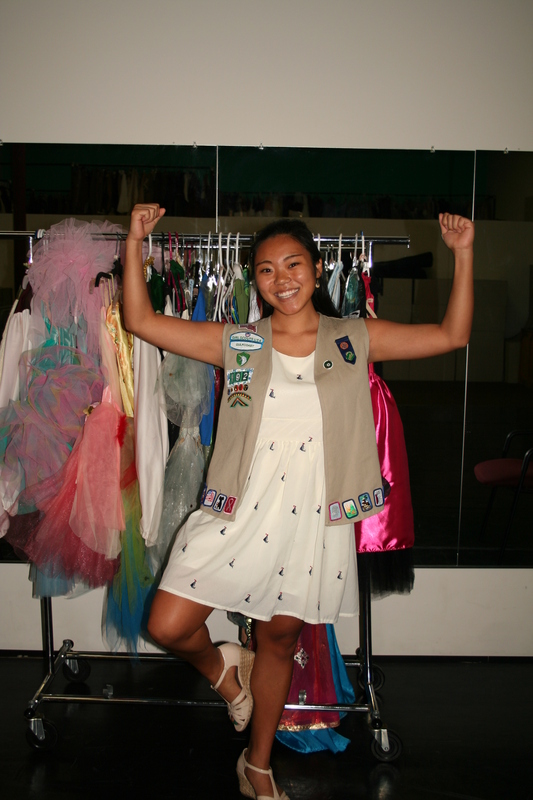 Samantha will be recognized for this achievement in May 2015, at Girl Scouts Young Women of Distinction ceremony. Congratulations Samantha! Ashlynn is a Senior at Lakewood Ranch High School, a cheerleader with the varsity squad, and a dancer with Jump Dance Company. For her project, she planned a ‘dance-a-thon’, in memory of her sister’s former classmate. She combined her passion for dance and love for animals to raise awareness within the community and collect item donations for the nonprofit, Nate’s Honor Animal Rescue. 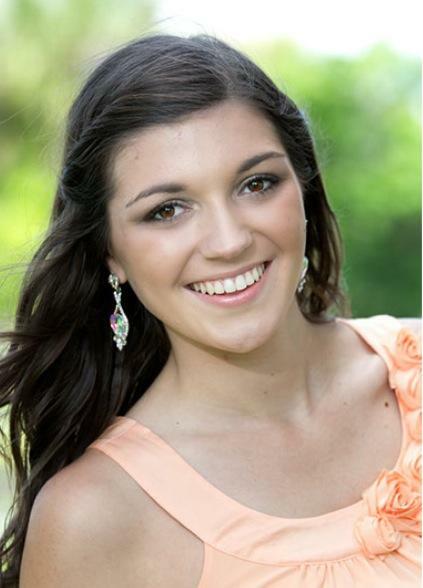 “Girl Scout Gold Award recipient Ashlynn, has already changed the world as a high school student. She mastered skills necessary to be an outstanding leader such as creativity and ability to positively influence others,” said Sue Stewart, Chief Executive Officer of Girl Scouts of Gulfcoast Florida, Inc. The Girl Scout Gold Award is so prestigious that some universities and colleges offer scholarships unique to Gold Award recipients, and girls who enlist in the U.S. Armed Forces may receive advanced rank in recognition of their achievements. Ashlynn will be recognized for this achievement in May 2015, at Girl Scouts Young Women of Distinction ceremony. Congratulations Ashlynn! Cameron Buxton is a senior at Seascrest Country Day School. She is preparing for college, applying at distinct schools such as Yale, Dartmouth, and Columbia to study paleontology. At her school, she is the stage manager of the drama department, the captain of several academic teams, the founder of The Scholar Bowl, part of Youth Leadership Collier, and has been in Girl Scouts for 11 years. When she and her peers first were introduced to Shakespeare, her peers weren’t interested and thought it was hard. Cameron decided that she would introduce 40 students at her school to Shakespeare in a fun, non-intimidating way. Cameron wanted to teach students about important works of literature to enhance the already strong arts and music program at the school, so she educated and inspired. The Girl Scout Gold Award is so prestigious that some universities and colleges offer scholarships unique to Gold Award recipients, and girls who enlist in the U.S. Armed Forces may receive advanced rank in recognition of their achievements. Cameron will be recognized for this achievement in May 2015, at Girl Scouts Young Women of Distinction ceremony. Congratulations Cameron! The Girl Scout Gold Award is so prestigious that some universities and colleges offer scholarships unique to Gold Award recipients, and girls who enlist in the U.S. Armed Forces may receive advanced rank in recognition of their achievements. Amanda will be recognized for this achievement in May 2015, at Girl Scouts Young Women of Distinction ceremony. Congratulations Amanda! Ellie of Sarasota goes Gold! 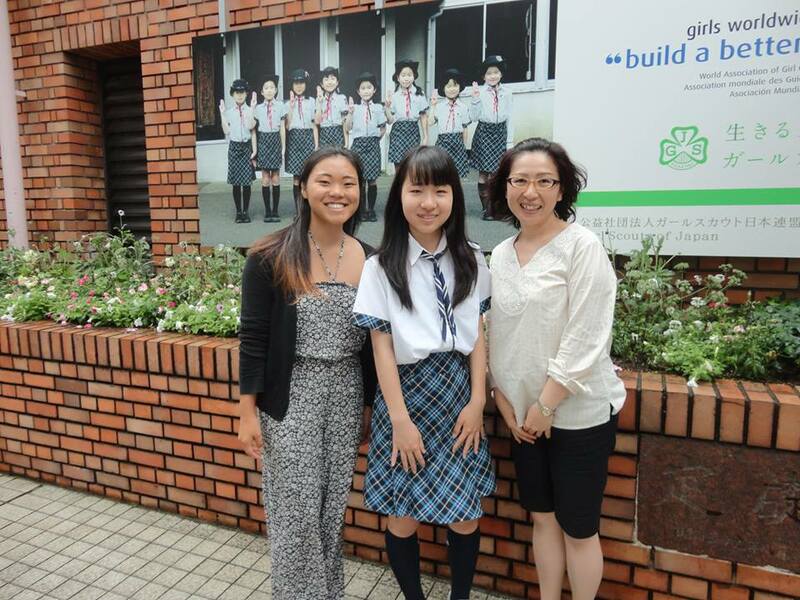 This summer, Ellie visited the Girl Scout Headquarters in Japan, where she shared her project with members from across the world. The Girl Scout Gold Award is so prestigious that some universities and colleges offer scholarships unique to Gold Award recipients, and girls who enlist in the U.S. Armed Forces may receive advanced rank in recognition of their achievements. 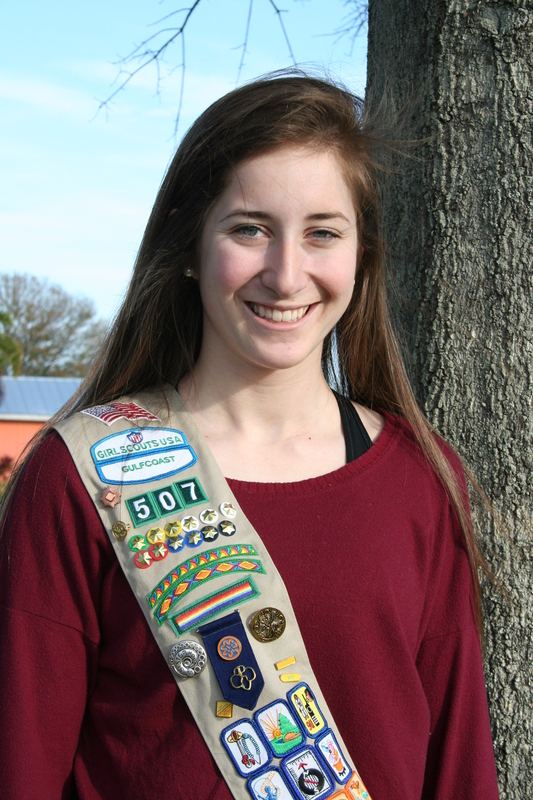 Ellie will be recognized for this achievement in May 2015, at Girl Scouts Young Women of Distinction ceremony. 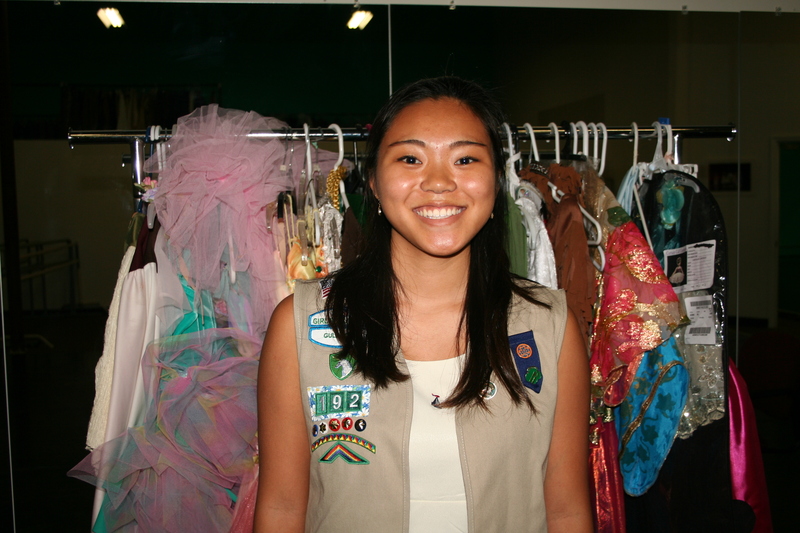 ~Guest Blogger is Emily Prettyman, Girl Scouts of Gulfcoast Florida, Inc. alumna and volunteer. Emily C. of Troop 121 with the Media Team helped interview Ellie and is featured in the video.